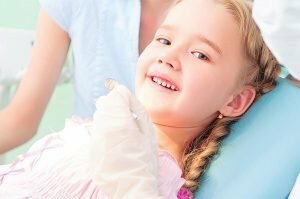 Children’s Dental Emergencies | Dr. Sheetal Sachdeva B.D.S. Children are naturally playful. They tend to be physically active and can get into accidents. Dental emergencies range from bacterial, fungal, viral, and even physical injuries. A child may have a fractured, chipped, or knocked out tooth that may need immediate attention by your family dentist. How would you know if something is a dental emergency? And if an emergency does arise, what first-aid measures should you take to manage them? Is the child bleeding through the mouth? Is the child in severe pain? Does he/she have any knocked teeth? Does he/she have any swelling in the mouth? Does he/she have any inflammation on the gums? If your answer is YES to any of these questions, your child might be having a dental emergency and needs to see your dentist right away. Read on to learn more about common children’s dental emergencies and how to manage them at home. Rinse your child’s mouth with lukewarm saltwater. This helps alleviate pain and relieve tenderness. Apply a cold compress to reduce swelling and painful twinges. Clear the mouth from food debris. Do not give aspirin to your child. This can only add complications. Clean off the area gently using lukewarm saltwater. Do not scrub or use soap on the affected area. Do not attempt to reinsert a temporary tooth back into its socket as this may affect the growth of the permanent tooth that is starting to grow. Apply a cold compress to reduce redness and swelling. Visit your dentist within the first 30 minutes of the injury. Doing so may help stop the occurrence of complications. Rinse your child’s mouth with lukewarm saltwater. Apply direct pressure on the injured area using an absorbent material to reduce or stop the bleeding. To reduce swelling, bleeding and pain, hold ice over the injured area. At Dr Sachdeva’s clinic, we provide immediate pain relief and treatments for children with dental problems. To quickly help you feel at ease again our experienced doctors will determine the cause of the problem and treat it with care and efficiency. If your child is experiencing a dental emergency, call us at (03) 9800 2338. We are located at 87 Stud Road in Wantirna South. We will attend to you with utmost urgency and care.